On the eve of the Rugby World Cup 2019 pool draw in Kyoto, we look at the qualifying process to date and how the eight teams will emerge to take their places at the tournament in Japan. Kingstown may be more than 14,000 kilometres from Tokyo but it was here that the road to Rugby World Cup 2019 began on 5 March when St Vincent and the Grenadines met Jamaica in the opening match of the 2016 Rugby Americas North Championship. Less than five months after All Blacks captain Richie McCaw held aloft the Webb Ellis Cup at Twickenham, the coveted trophy was back on its travels as the next cycle of Rugby World Cup qualifiers began in the Caribbean. Officiating in his first test since New Zealand’s RWC 2015 final win over Australia, Welshman Nigel Owens took charge of affairs as Jamaica ran in eight unanswered tries on their way to a 48-0 victory in front of a record 1,000-strong crowd at the Arnos Vale Sports Complex. 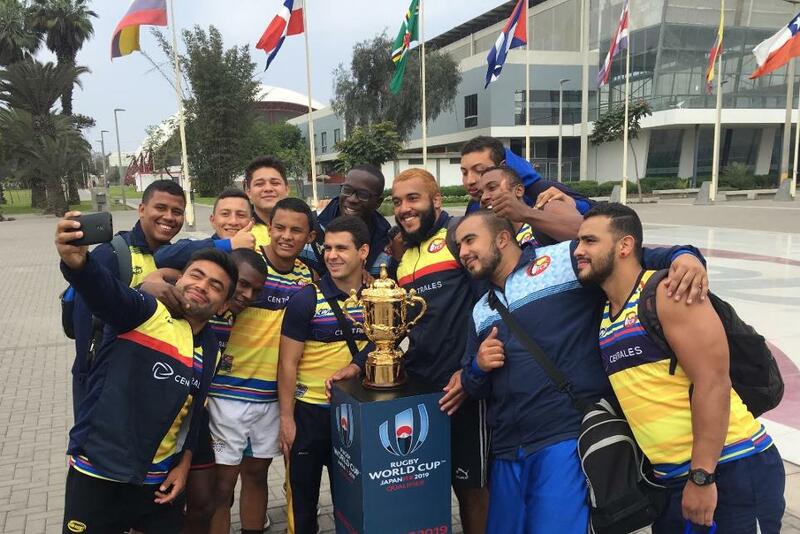 Since that curtain-raiser in the Caribbean, RWC 2019 qualifiers have also taken place in Africa, Asia, Europe, Oceania and South America, as teams from around the globe make their bids to join the 12 nations who confirmed their place at Asia’s first Rugby World Cup following a top three pool finish at England 2015. While the dream of competing on the game’s biggest stage is now over for many of the participants, the fact is they have had the opportunity to do so. Every full member union of World Rugby can aspire to compete at the Rugby World Cup through the clearly defined regional pathways, and the journey to Japan 2019 will have plenty more twists and turns before the identity of all 20 competing nations are known. The honour of hosting the first qualifier fell to the Rugby Americas North (RAN) region for the second tournament running, with St Vincent and the Grenadines and Jamaica two of the nine unions competing in the RAN Championship. Split into two zones, the teams stepped their way through the competition until only Guyana, who edged out defending champions Trinidad and Tobago in a Port of Spain thriller, and the rapidly-improving Mexico were left standing. Three months passed before they met in the RAN Championship final in Mexico City on 1 October. Leading 10-3 at half-time, Las Serpientes capitalised on Guyana’s ill-discipline and missed kicks at goal to pull away and win 32-3. Mexico’s victory set up a straight shoot-out with Sudamérica B Championship winners Colombia, who had claimed a hat-trick of regional titles following victories over Ecuador, hosts Peru and Venezuela in Lima. Buoyed by moving into the World Rugby Rankings’ top 50 for the first time, Mexico put up a valiant fight in rugby-mad Medellin but it was Colombia who prevailed 29-11 to move to the next stage of the Americas qualification process. In November, Paraguay welcomed Colombia to the Héroes de Curupaytí Stadium in Asunción with a place in the 2017 Sudamérica A Championship also on the line. Los Tucanes took an early 12-6 lead but Paraguay came back strongly to score five tries and win 39-27. The qualification process resumes later this month when Paraguay line up alongside Uruguay, Chile and Brazil in the Sudamérica A Championship, the winner of which will face the loser of the Americas 1 play-off between USA and Canada, on 24 June and 1 July, on a home and away basis for a place at Japan 2019 as the Americas 2 qualifier. The team that misses out will enter the Repechage tournament. The qualification process for Asia’s first Rugby World Cup began in the Uzbekistan capital of Tashkent in May 2016 when the hosts welcomed Guam, Thailand and UAE for the Asia Rugby Division II Championship. And for UAE coach and former Samoa back-row Apollo Perelini the chance to join the select band of individuals who have played and coached at a Rugby World Cup is still alive after his side beat Uzbekistan and Thailand to secure promotion to Division I in 2017. “We want to challenge at the next level. We want to go beyond Division I in fact. We have a good group of players who can achieve that and we have more to come so I think the future looks bright for us,” said Perelini, one of the stars of Western Samoa’s historic RWC 1991 campaign. Division I fixtures against host nation Malaysia, Sri Lanka and the Philippines lie in wait for UAE, with the champions keeping alive their RWC 2019 dreams by earning promotion to the top tier to face Hong Kong and Korea in 2018. This Asia Rugby Championship winner will then face the Oceania Cup 2017 winner in a cross-regional play-off with the winner progressing to the Repechage tournament. It’s advantage Fiji and Samoa at the halfway stage of the qualification process which will deliver the Oceania 1 and Oceania 2 qualifiers for RWC 2019 in July, leaving Tonga with work to do if they are to avoid a cross-continental play-off with a European team and, potentially also the Repechage tournament, to qualify. 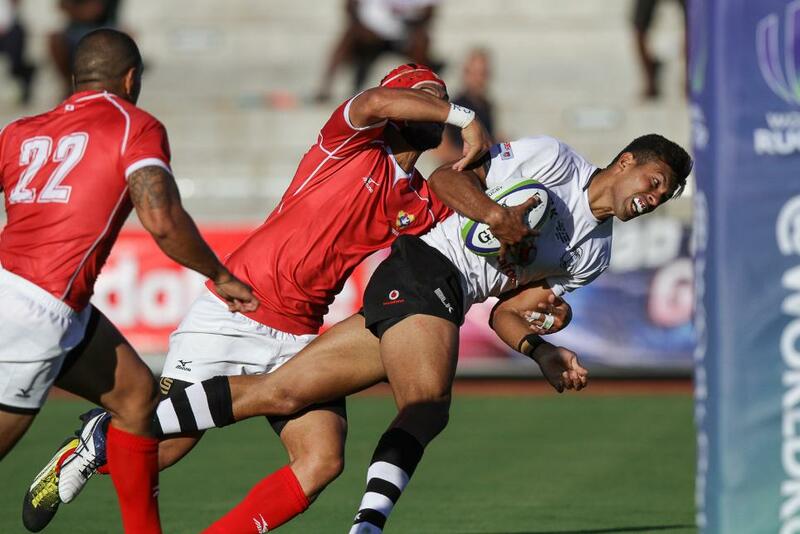 Results across the 2016 and 2017 editions of the World Rugby Pacific Nations Cup will determine the qualifiers with Fiji leading the way after beating both Samoa and Tonga last year. Samoa’s 30-10 victory over Tonga means they lie second going into the July conclusion of this process. For other nations in the region, the Oceania Cup in 2017 will provide another route to qualification with the winner to face the Asia Rugby Championship 2018 winner for a place in the Repechage tournament. The 2016 Africa Cup Division 1B and 1C doubled up as the first round of RWC 2019 qualifiers in the region. Back-to-back defeats to Madagascar (24-15) and Senegal (54-3) saw Zambia relegated from Division 1B to the third tier of the regional competition to end their Japan 2019 dream at the first hurdle. The same applies to Mauritius and Nigeria who lost out to Morocco in the race for the Division 1C title. Morocco will therefore step up into the renamed Rugby Africa Silver Cup competition in 2017, which Senegal won last year after a dramatic 15-14 win over Tunisia in Monastir. Senegal and Tunisia will both step into an expanded top tier – now known as the Rugby Africa Gold Cup – in 2017 to join last year’s champions Namibia, Kenya, Uganda and Zimbabwe. The Silver Cup winner will replace the bottom-ranked side for the 2018 Gold Cup competition which will be the final stage of the African process with the winner qualifying as Africa 1 and the runner-up entering the Repechage tournament. The Czech Republic made a flying start when the qualification process in World Rugby’s largest regional association got underway in Enköping, about 80km from Stockholm last September. Captain and number eight Vojtěch Havel led from the front as the Czechs saw off Sweden 56-14 to make the early running in Rugby Europe Conference 1 North. To remain alive in the qualification process, teams in the Conference 1 North and South and Conference 2 North and South must finish top of their respective divisions. The respective 1 (Czech Republic and Malta) and 2 champions (Hungary and Bosnia and Herzegovina) then meet in May, with the winners of both matches to face off for the right to face the Rugby Europe Trophy winner in 2018. Portugal, seeking an immediate return to the top tier of the Rugby Europe Championship, were the dominant team in the Trophy this year with five wins from five to finish 10 points clear of second-placed Netherlands. This earned them a play-off with Belgium later this month. The region’s direct place – Europe 1 – for Japan 2019 will come from the Rugby Europe Championship across the 2017 and 2018 tournaments. Georgia have already qualified after finishing third in their pool at RWC 2015, so all matches against the Lelos do not count for Japan 2019 qualification. Romania top these standings at the halfway stage after bouncing back well from a shock loss to Germany in round one to win a first Rugby Europe Championship title and end Georgia’s six-year stranglehold on the title. However, Romania’s 15 points is only two more than Spain with Russia a further four points adrift. Germany, who stunned Romania 41-38, are fourth with eight points meaning there is still plenty to play for in 2018. For more information on the RWC 2019 qualifying process, visit rugbyworldcup.com/qualifying.